At ZSL we’re working to create a future where wildlife thrives forever. That’s all animals at threat - from fen raft spiders to Amur leopards. We won’t stop until their future’s secured. Over 50% of wildlife has decreased in the last 40 years. There will never be another opportunity like now to protect our planet’s animals. Once you have accounted for your family and friends; including a gift to ZSL in your Will can make a lasting contribution to the worldwide conservation of animals and their habitats long into the future. By leaving as little as 1% of your Will to ZSL you can help us continue to inspire generations of people and build futures for wildlife. No matter how big or small, leaving a gift in your Will to ZSL makes a real difference to our work. From lions to lorises, otters to okapis, together we can protect them forever. If you want to leave a gift to support a particular area of ZSL’s work, such as ZSL London or Whipsnade Zoo, we are only too pleased to be able to meet your wishes. If you have something in mind, please get in touch and we will be happy to help with the appropriate wording to use. Please contact the Fundraising Team on 020 7449 6487 or via email at remember@zsl.org or write to: Helen Simpkiss, Legacy Officer, Development Department, Zoological Society of London, Regent’s Park, London, NW1 4RY. If you do decide that you would like to leave a gift in your Will to ZSL, we would love to hear from you. We are happy to discuss any aspect of legacy giving, and answer any questions you may have. If you have a particular area of interest we can discuss how a legacy could help that area, or set up a meeting with an expert in that field if you would like. You can let us know of your intention to leave a gift in your will by calling 020 7449 6487. Please be assured that there is no obligation to share this information with us. Any information you do share will be held in the strictest confidence and is not a binding commitment. If you do decide to leave a gift to ZSL in your Will, it's essential to include our full name (ZSL The Zoological Society of London) and our charity number (rcn 208728) to make sure your gift reaches us. We've put together some suggested wording which you can give to your solicitor or professional Will writer. A legacy to charity is generally exempt from inheritance tax, so a gift in your Will to the Zoological Society of London could reduce the level of tax payable on your estate when you die. Find out more about the financial benefits of leaving a legacy to the Zoological Society of London. If you haven’t written your Will yet or if you would like to update your Will it’s important to seek proper professional advice from a Wills & Probate solicitor. The Law Society has a searchable on-line database to help you find a solicitor in your area. Simply click on the following link www.solicitors-online.com; enter your postcode or town name and under ‘Area of law’ choose ‘Wills and probate’. The database will return a list of 50 Wills and Probate solicitors nearest to you. We are very grateful to everyone who is so passionate about our work that they have included gifts in their Wills to ZSL. As a thank you for supporting us in this wonderful way, we include a dedication in our Book of Remembrance at either ZSL London Zoo or ZSL Whipsnade Zoo. Gifts in Wills are vitally important to help us to continue our work for the worldwide conservation of animals and their habitats. We simply can't thank you enough. 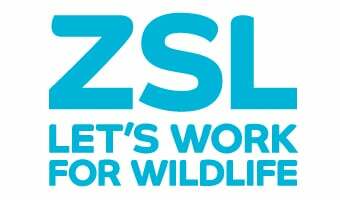 Thank you for considering a gift in your Will to ZSL. Together we can create a world where wildlife thrives.